George Smith practices in all areas of estate and trust planning and administration, including advising on the tax consequences associated with planning for the disposition of assets by individuals. In addition to representing individuals in their estate planning matters, he represents individuals, banks, and trust companies serving in fiduciary capacities. Mr. Smith also assists individuals in designing charitable giving plans. He is admitted to practice law in Connecticut, New York, and Florida and is a member of the bar association in each of these states. 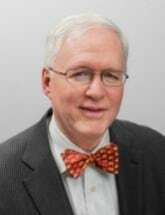 He is an ex-officio member of the Executive Committee of the Estates and Probate Section of the Connecticut Bar Association and is a Fellow of the American College of Trust and Estate Counsel. In addition, he is an Emeritus Professional Advisor of Fairfield County's Community Foundation Professional Advisory Council.